Getting business is hard. Keeping customers is even harder. With current economies rising and fierce competition, companies certainly have to put forth conscience energy and effort into maintaining a consistent customer base. Merely providing a great product or service is no longer enough to keep customers coming back for more. When it comes to customer loyalty nothing works better than getting to know your customer personally. 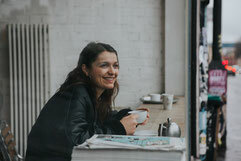 Customers want to feel that you care about them and will almost always stay loyal to a company whom they feel they have developed a genuine relationship with. Take advantage of any opportunity to get to know a customer on a personal level. Take time to chat about them, not just their business, preferably face to face. People do business with people they like and trust. Most customers will not expect a company to ask about recent personal events (such as a job promotion or birthday), but if your company is structured to be attentive for information like that it can help build such a relationship. Not only is it important for you to get to know your customers personally but also it is equally important for your customers to get to know your company better. Sharing your brand's story is a great way to do this. As a business owner, you go above and beyond to please your customer. You stay up late, you work on holidays, and you give that extra something special they will not get from your competitors. So talk about it! There are several successful ways your story should be told, but finding a way to help your customers connect with and remember what they read (watched or listened to) is going to be key. Perhaps your brand is the key to solving a problem. Share with your customers how the problem has affected you and others and how you have helped solve those problems. Or maybe it would better suit your audience to know what the inspiration behind developing your brand was? Or sharing how you're different than your competition? Whatever your story is, customers want to hear it. Making your customers feel a part of something that is bigger than just them is critical to maintaining your customer base. Whether it’s through success sharing, online discussion boards, or monthly newsletters your customers want to know that they are not alone in using your brand. Corporate gifts can be a powerful way to keep customers hooked if done correctly. It is important because it makes your customer feel valued and gives customers and clients brand recall. Whether celebrating the closing of a deal or contract or thanking them for their ongoing business, a corporate gift is a perfect way to incorporate your own branding and ensure your customer or client remembers you for a long time. 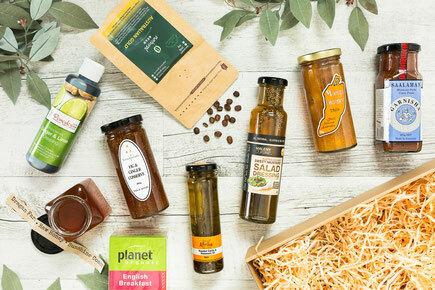 Customised gifts such as a local gourmet gift hamper make a great corporate gift because they look professional and appealing, while being practical. Lastly, it is always nice to feel appreciated, so why not let your customers know they are? Small courtesies create a powerful response in others—especially a simple thank you, either written or verbal. When someone takes the time to meet you and hear about your brand they deserve a sincere thank you for their valuable time. Your customers want to feel valued. They are more likely to return if they feel there is a two-way relationship with a company. The easiest way to make a customer feel valued and part of a two-way relationship is to genuinely thank them for their business and loyalty.